Make your website your visiting card. Visiting Card is a simple business card theme. Usually, it happens when you are really active on social media sites, you blog less. And this design was a perfect solution for those who have a domain name but don’t need much content on the website. Visiting card website is able to showcase relevant information while maintaining a visually appealing responsive design. 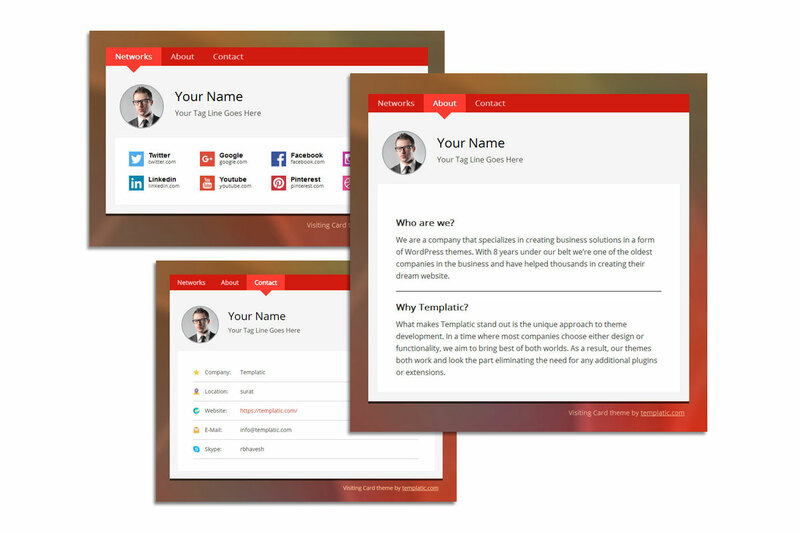 Visiting card theme is vCard theme which doesn’t require a single line of code. Flexible handling of social media links like Facebook, Instagram, YouTube, Picasa and more popular social media sites. Get visiting Card theme today! This is the main tab where you’ve your profile photo along with your tagline which can also be used to place any catchy phrase which describes you the most. 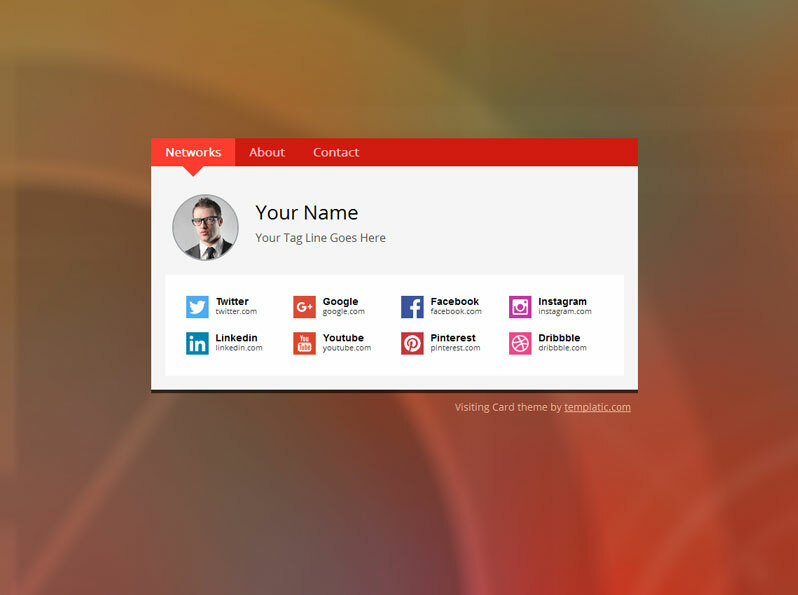 You can beautifully showcase all your social networks here. Here we’ve “About” tab where you can showcase relevant information about your profile like Who you are? What’s your expertise? Your experiences etc.. Contact tab which showcases all the contact information by which a person can contact you. This is one of the best free VisitingCard WordPress themes for 2018 you’ll find online. Download this great looking template and launch your own visitingCard today. If you have any pre-sale questions or need any help, please Contact Us and we'd love to help.